13" Long. 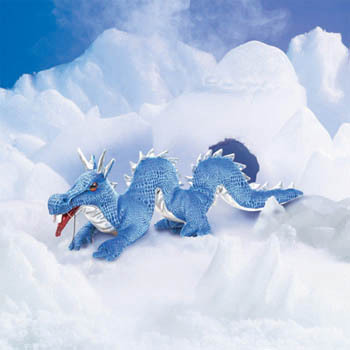 When traveling in the arctic reaches, you must beware the treacherous Blue Dragon! Give this extremely cool finger puppet a fire in the belly when you animate his mouth, front legs, and tail.